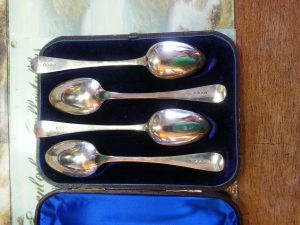 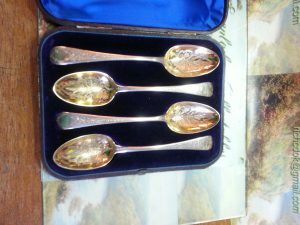 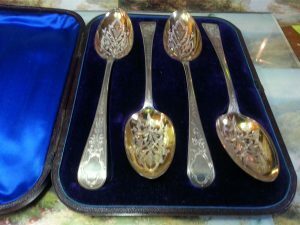 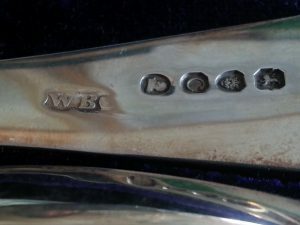 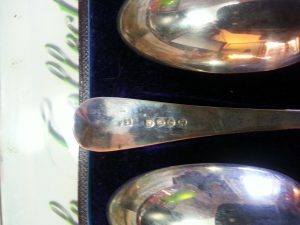 Exquisite set of four Georgian Tablespoons, Two clearly marked WB (WILLIAM BATEMAN, one clearly marked WE (a Bateman apprentice?). 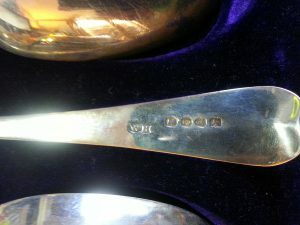 The other hallmark is rubbed, possible II (another Bateman apprentice?). 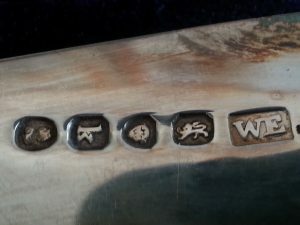 All four match however. 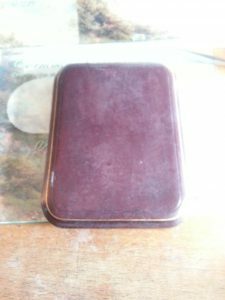 In their original red leather case. 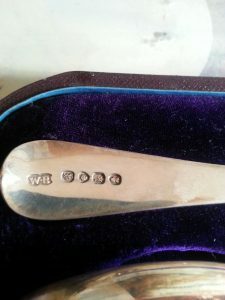 A genuine piece of history. 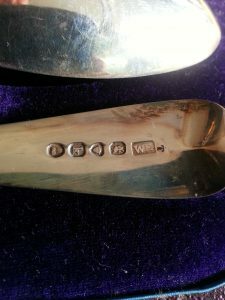 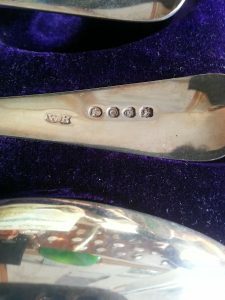 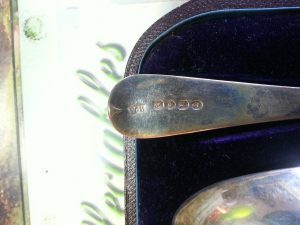 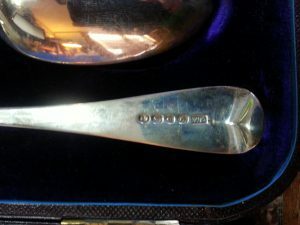 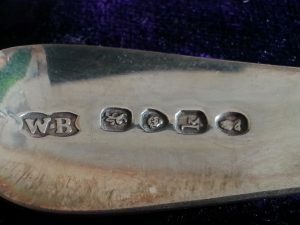 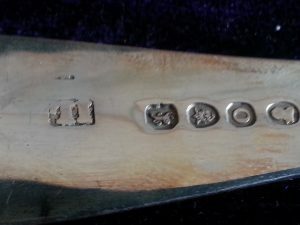 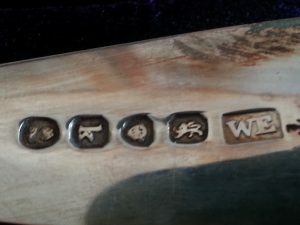 London hallmarks K and O = 1805 to 1809. 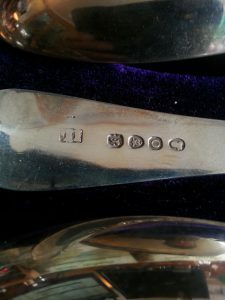 A very rare set indeed.